Like I have said before, I am going to embark on a Michelin Bib Gourmand eating spree, giving my two-cents worth on these “famed” restaurants and hawkers. 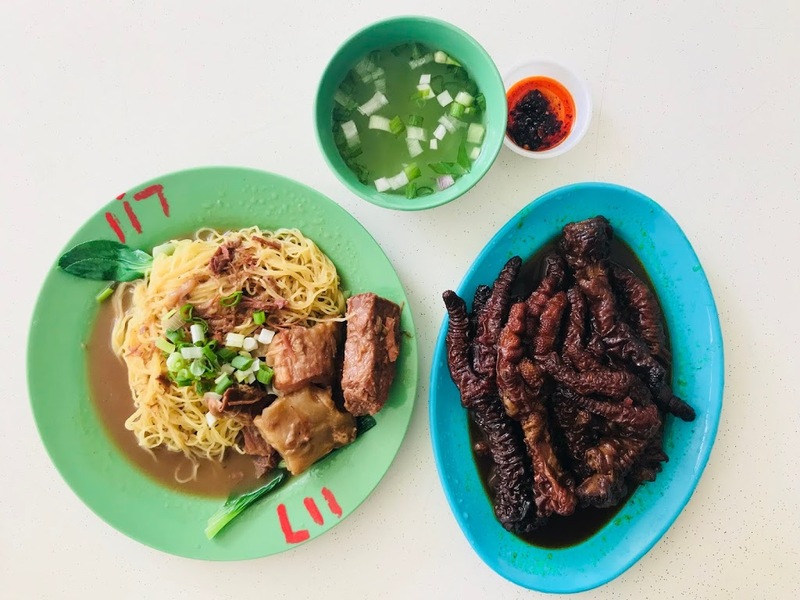 So far I have already reviewed Kok Sen, New Ubin Seafood (Hillview), Ash & Elm, Master Tang Wontan Mee, Hill Street Tai Hwa Pork Noodle, Liao Fan Hong Kong Soya Sauce Chicken Rice & Noodle, Man Man Unagi Restaurant, Chey Sua Carrot Cake and Hong Kee Beef Noodle. Today I will be reviewing A Noodle Story in Amoy Street Food Centre. 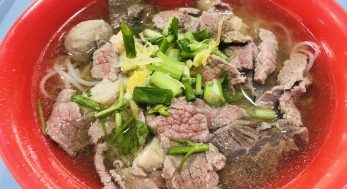 If you thought this is just another noodle stall in Amoy Street Food Market, you are so wrong. A Noodle Story is opened by two buddies, Gwern Khoo and Ben Tham, who met during their course in Shatec. 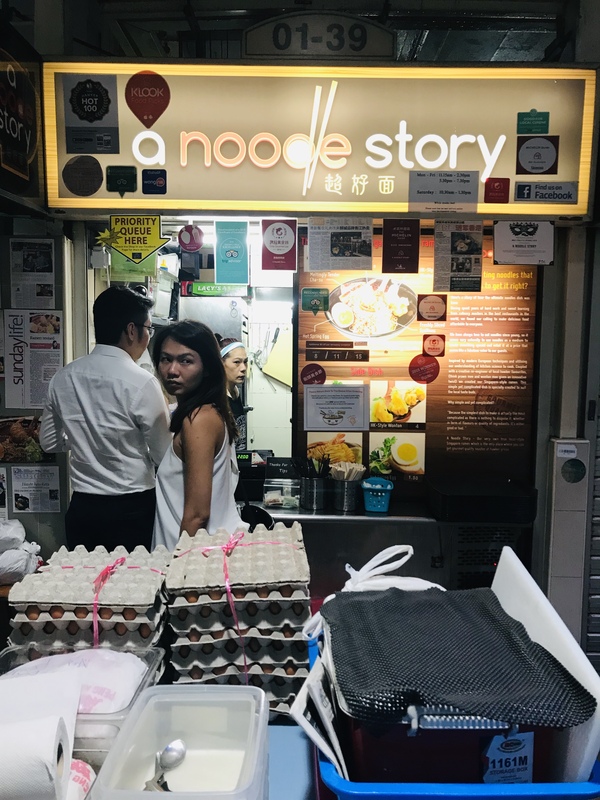 Gwern Khoo and Ben Tham’s passion for making “delicious food affordable to everyone” led them to start A Noodle Story. A Noodle Story only serves one dish. This Singaporea-style ramen is like the ramen version of the Singapore rojak. 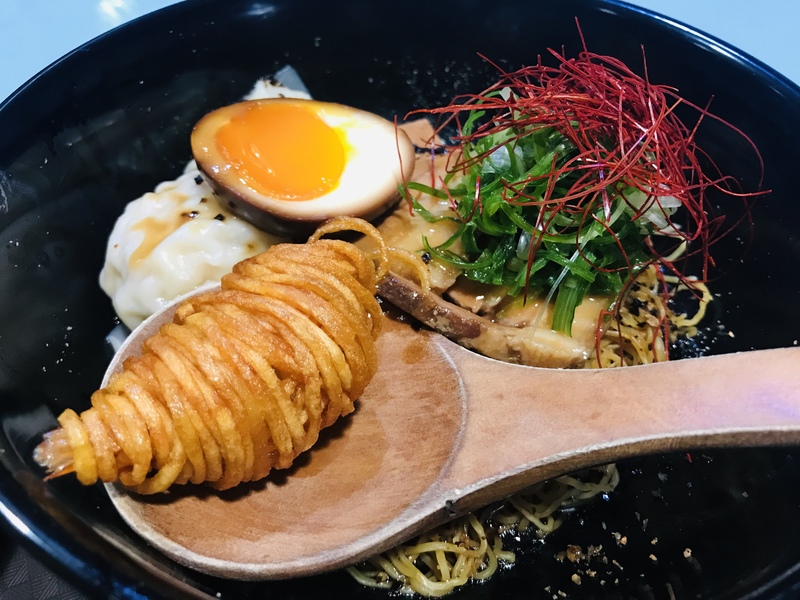 The Hong Kong-style egg noodles are topped with a wanton, Japanese cha-su, Taiwanese/Japanese hot spring egg and Western crispy potato-wrapped prawn. You get to taste 4 cuisines in one bowl of ramen, this is fusion at its best. Prices have gone up, so expect to pay $8 for Small, $11 for Medium and $15 for Special. 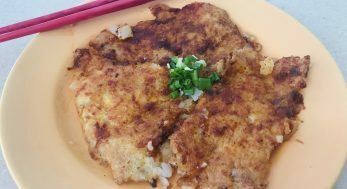 You can also order additional Tender Cha-su [$4], HK-Style Wontan [$4], Potato-Wrapped Prawn [$4] and Hot Spring Egg [$1.50] as side dishes. 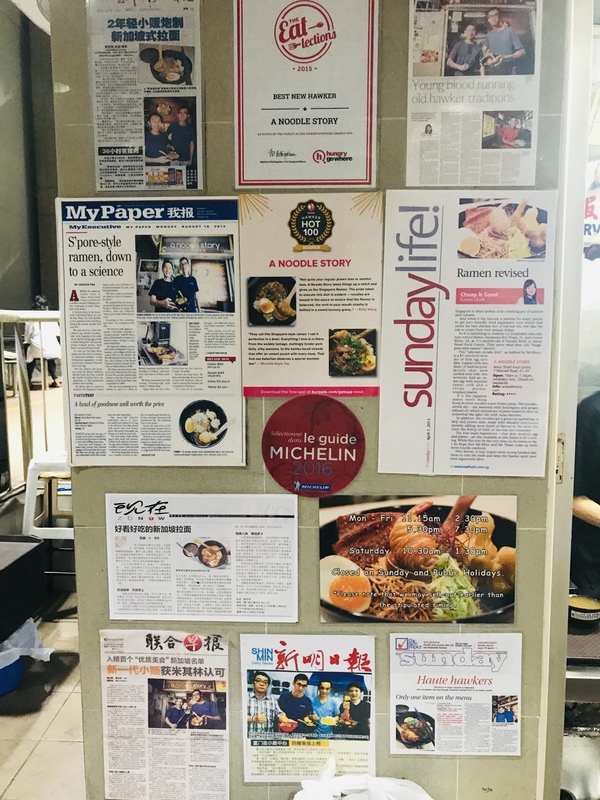 Long before A Noodle Story was listed in Michelin Bib Gourmand 2016, it has been featured in all the major newspapers in Singapore such as MyPaper, SundayLife!, Lianhe Zaobao, The New Paper and Shin Min Daily News. It also received accodolates such as “Best New Hawker” by Hungrygowhere and “Hot 100 Hawkers” by Burpple. 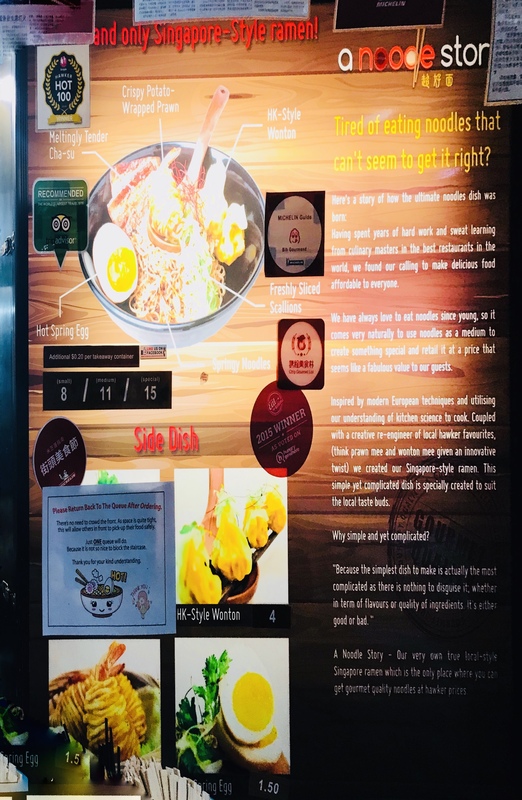 While I won’t go as far as to say that A Noodle Story’s ramen is the best I have had, but the uniqueness of this Singapore-style ramen is definitely worth checking out.